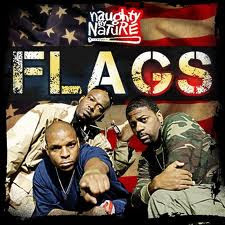 Naughty by Nature releases the video for upcoming film "Flags"
The video for the song "Flags" from Naughty by Nature was shot on the streets of the group's hometown in East Orange and Newark, New Jersey. It tackles the topic of gang relations and its destructive lifestyle. It's an extended video clip based on a "Flags" feature film currently in development by Illtown Films. The track itself features Balewa “Bilal” Muhammad & Jaheim. "Our goal with the video was to send a 'Peace in the Streets' message to our brothers, sisters and the community at large," states Vin Rock. "The video really exposes the choice one has to make in the face of adversity. Life or death, the choice is yours." "Flags" starring Treach, Ice-T, Marc John Jefferies, and Dennis Johnson is an epic mini-movie with a music video slipped within. This feature will be one of the next projects released and will be accompanied by a full-length feature film that will be released straight to DVD. Produced by Naughty by Nature for Naughty Films, written by Treach and directed by Jay Rodriguez and Rock Davis for Itchy House Films.